I plan to modify the original Fender 5F8A circuit to include an adjustable bias. This modification would incorporate a linear potentiometer that is wired like a variable resistor (i.e. 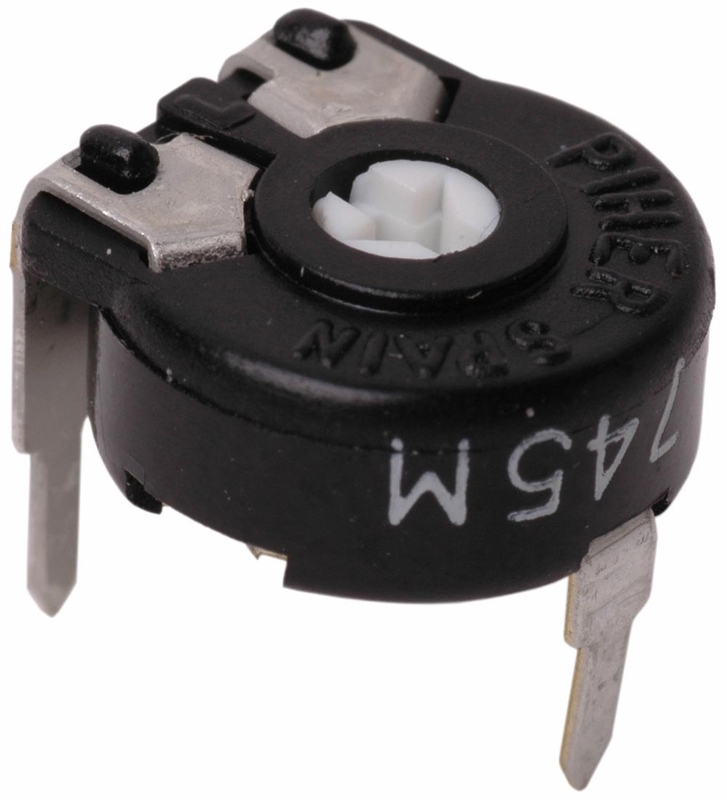 one leg of the potentiometer is left unconnected). One such method is to replace the original 56 K Ohm resistor with a 50 K Ohm linear potentiometer and a 10 K Ohm resistor (Weber Method). The original circuit layout had to be redesigned to accommodate the shorter leads of metal film resistors (versus the longer leads of vintage carbon composition resistors). During the circuit board redesign I incorporated the adjustable bias modification as illustrated below. In the end, I decided to use a 10 K Ohm resistor with the 50 K Ohm potentiometer… I figured that would provide enough adjustment, i.e. with the 50 K Ohm potentiometer set at halfway, the total resistance would equate to 35 K Ohms. 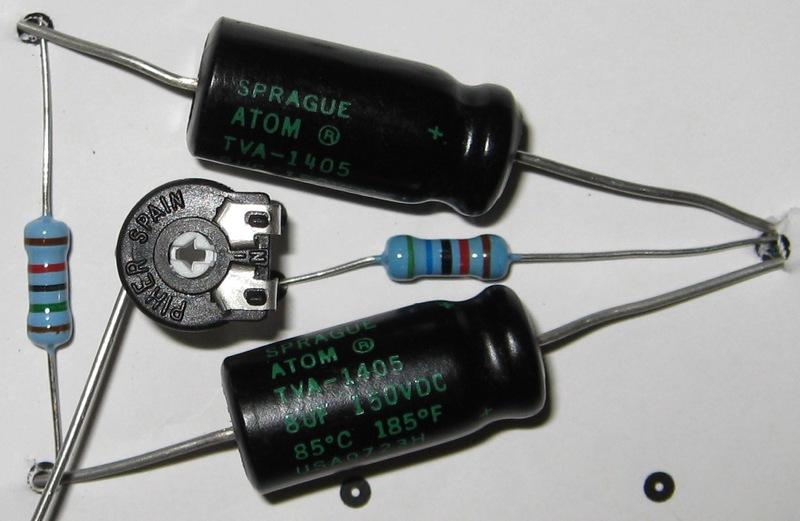 Note that the above photo depicts a 56 K Ohm resistor, which was only used for layout purposes.